If there's any hint of sunshine over a weekend in the Winter I am the first to grab my coat and run outside to play in it. I'm not a huge fan of dark Winters and despite taking my Vitamin D with my breakfast every morning it's never enough as nothing beats the feeling of the warm Winter sun on my face. We recently had an absolutely beautiful Sunday here in the North East. There wasn't a cloud in the sky and the sun was lovely and warm - it was the weather where, no matter how daft you might look, a warm wool hat and sunglasses really are an essential combination. 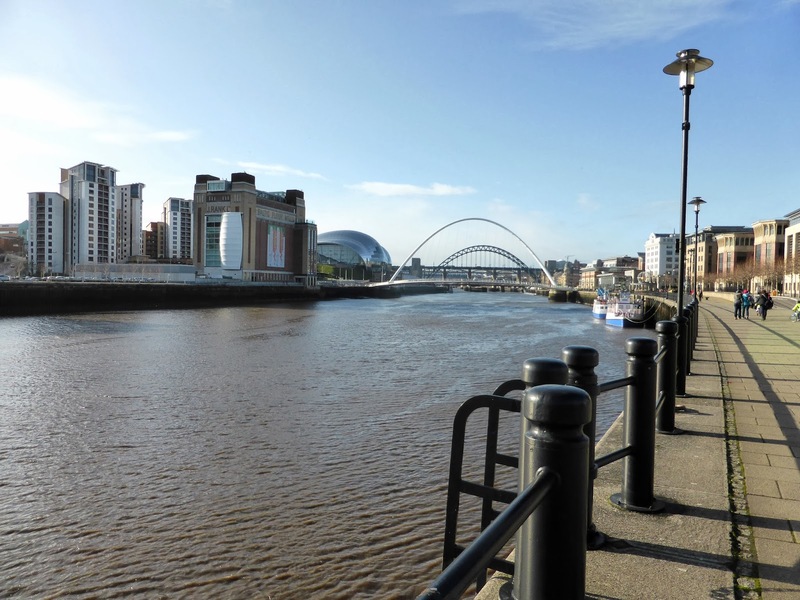 It was the perfect excuse for a stroll down to the Quayside and along the Tyne to the Cycle Hub for a coffee. Before I continue I should probably point out that I haven't been on a bike ride for at least 15 years and although I quite like the idea of going on one I'm yet to be brave enough to give it a go. Luckily you don't need a bike to chill out in the Cycle Hub as they also welcome pedestrians who secretly wish they were cyclists. 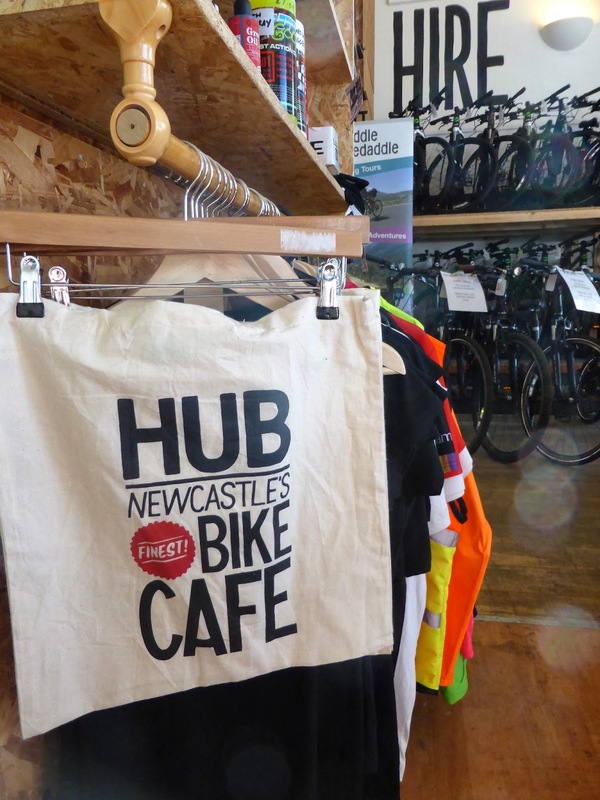 The Cycle Hub is on the banks of the River Tyne with fantastic views of some of Newcastle's iconic bridges. They have outdoor seating which I've already got my eye on for the Summer months. 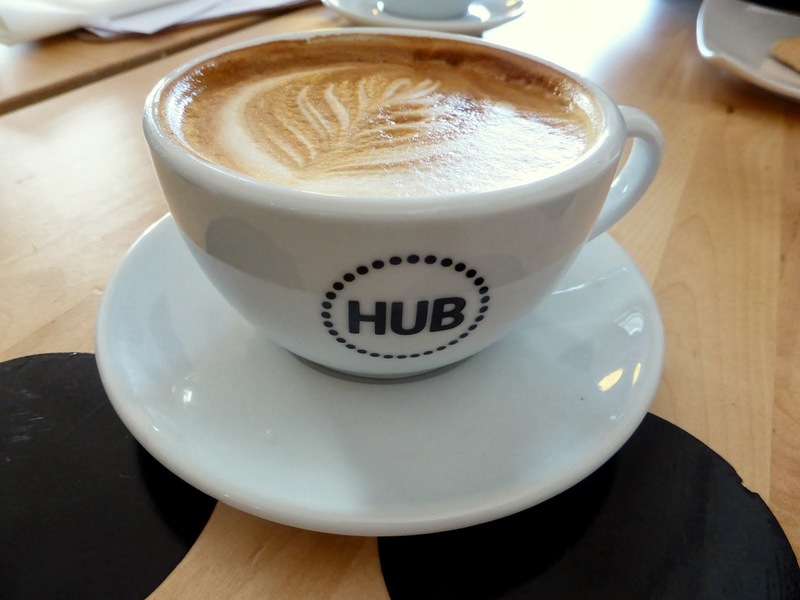 The Hub is a little bit of everything, as well as a café they also have a bike shop, bike hire, information centre and repair workshop as well as organising events and guided bike rides. 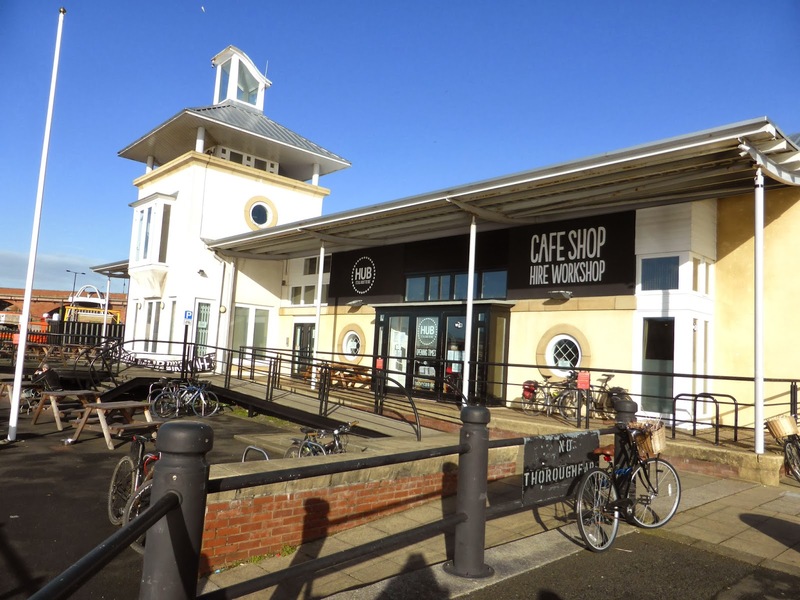 It's the perfect place for cyclists to stop for a chat over coffee and cake as it's situated in the middle of the Coast to Coast route. 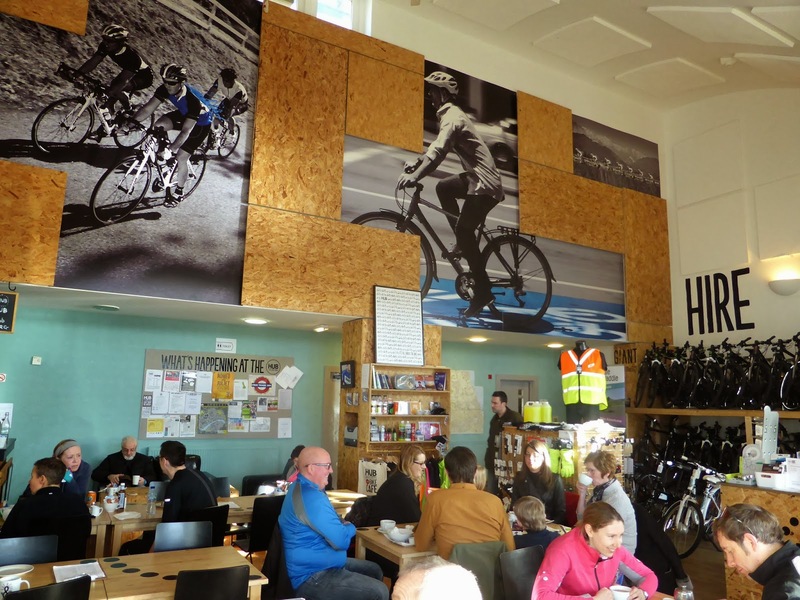 The atmosphere inside the café is very friendly and I love how the cyclists all greet each other and exchange stories of their cycling adventures. After a while I began to feel envious, not to mention a little guilty. They were all happily tucking into cake that they would be burning off whereas I was stuffing cake and lounging about. 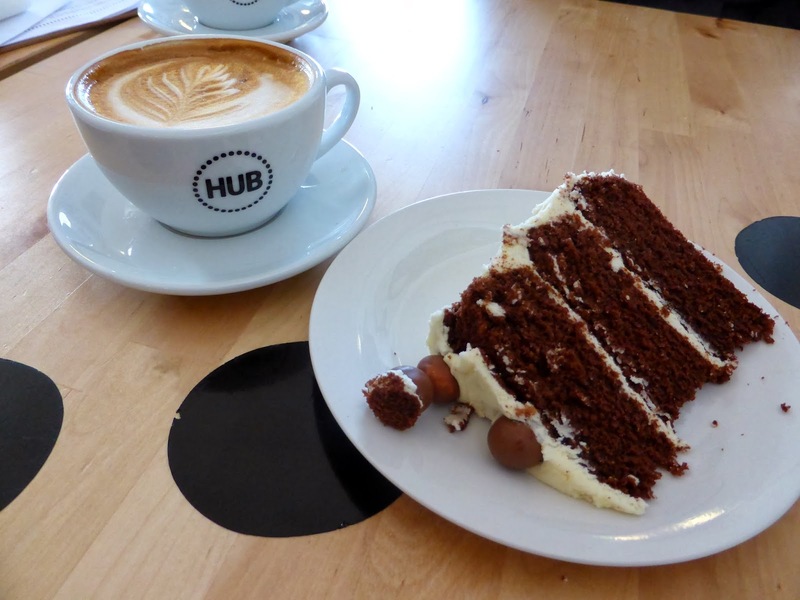 As our bellies got the better of us we decided that rather than have lunch the cakes in the Hub were just too tempting so we skipped lunch in favour of sweet treats. 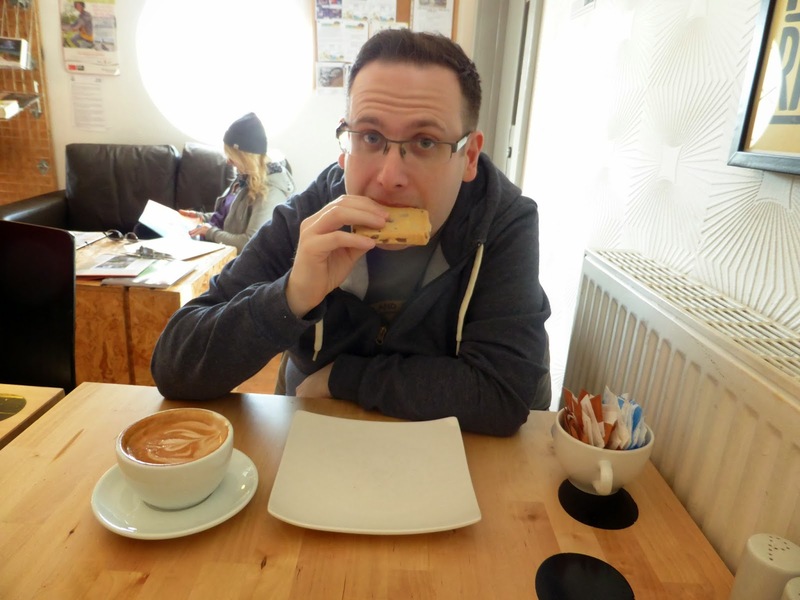 I had a caramel latte with a slice of chocolate cake and Simon opted for a mocha with a chocolate shortbread biscuit. As I was tucking in my mind did begin to wander off on an adventure. It is pretty easy to find yourself very tempted by bike riding after a few short moments in the Hub. 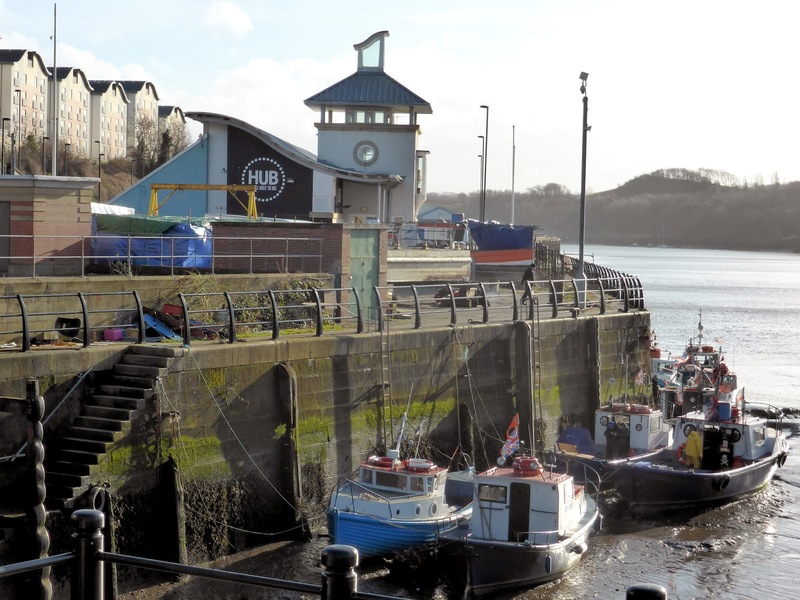 Some of their self guided tours look fantastic and incorporate some of my favourite places in the area. The 14 mile ride from the Angel of the North, past Saltwell Park and onto Tyenmouth looks particularly good, although maybe I need to get myself back onto a bike first before making any grand plans to become the next Victoria Pendleton. Anyone else beginning to love the fantastic sneaky shots I keep taking of Simon just as he's biting into his food? Aren't I mean?! 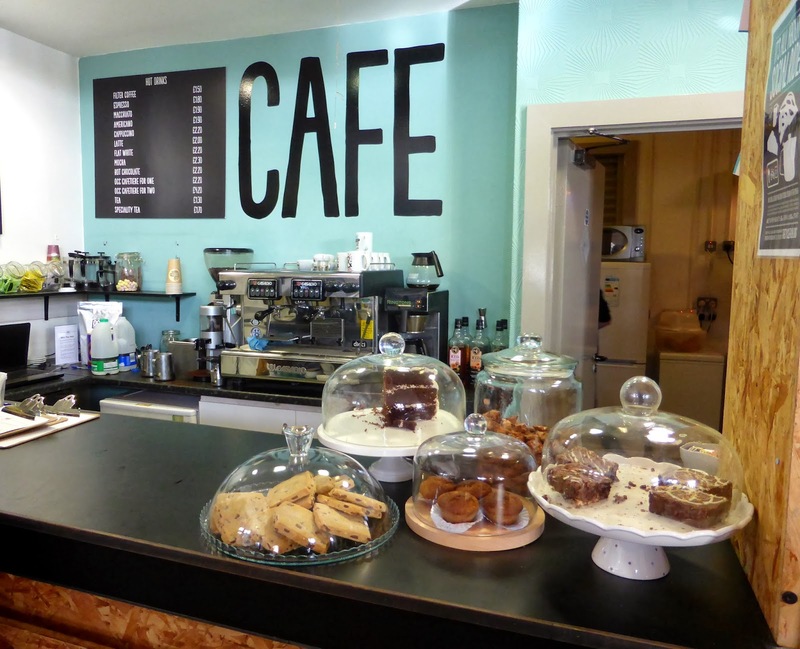 I love the look of the cafe! Especially that piece of chocolate cake . . .
Lol! I rode a bike last year for the first time in about 15 years!! I just wobbled all over the place! The cake looks amazing, glad you had a good day. I didn't even know this place existed! 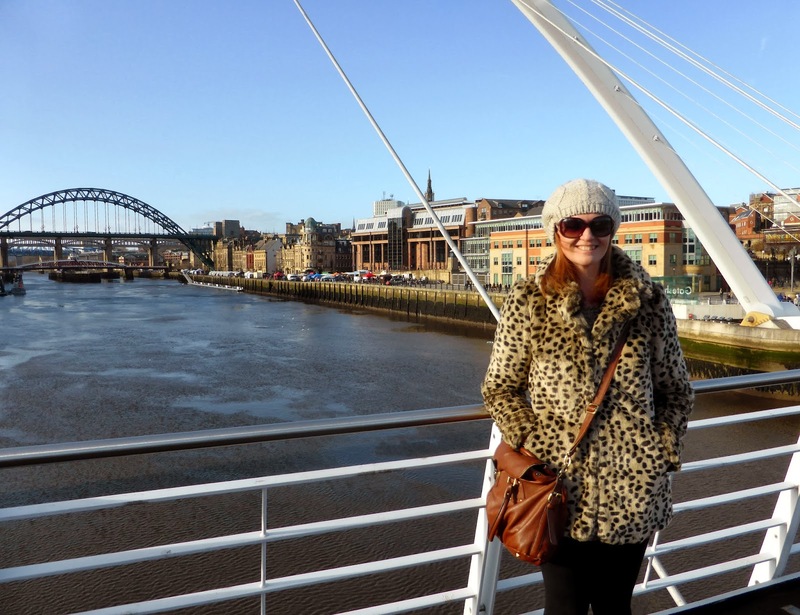 I love Newcastle, I'm from Sunderland so we're nearly locals ha! Love your blog, thanks for following mine hun! 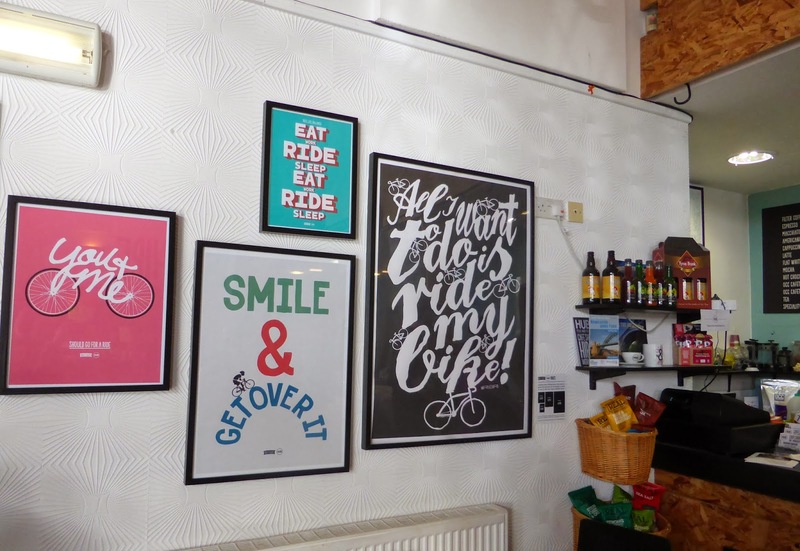 They're very welcoming to non-cyclists too - and the wifi is as good as the coffee and the view! They definitely are ... I don't think many pedestrians really know about it and they're missing out on a lovely little place! I was glad to read you can go there without a bike! Love the latte art - it's the little things. 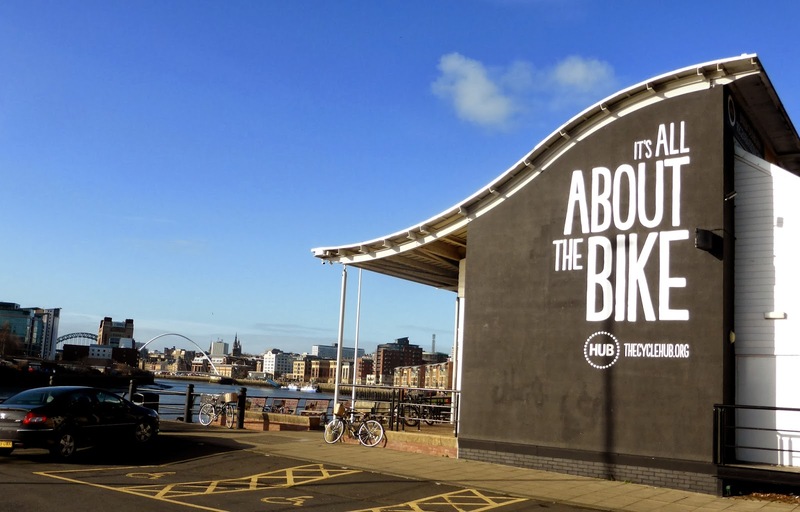 My brother's moving to Gateshead Quays in July so it'll be the perfect place in the Summer, I think we'll be spending a lot more time on the Quayside so it's good to find out more about the Cycle Hub!